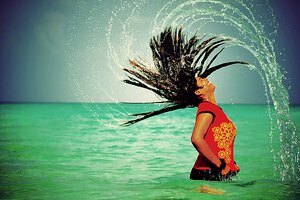 There are many methods available for curling your hair. Unfortunately, the heat associated with the process can do more harm than good. Certain materials, such as ceramic, can curtail this damage by providing the minimal heat that is necessary to achieve the curl while releasing negative ions that combat a good deal of the damage that regular curling irons cause. A ceramic curling iron has a smooth surface, which gives the hair a more uniform curl, prevents dust and debris from collecting on the iron (and ultimately transferring to your hair) and ensures that heat is evenly distributed throughout the heating rod. This prevents the temperature from spiking uncontrollably, thereby damaging your hair. The ceramic material emits negatively charged ions to curl the hair. These ions do not strip hair of moisture or oils, which prevents the cuticle from damaging or splitting. 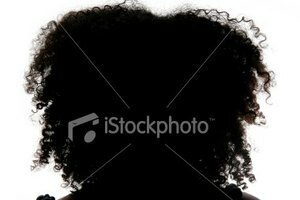 Instead, when the ions make contact with the hair, they act as a smoothing agent, which also prevents hair from frizzing. Three types of materials are used in the production of curling irons: ceramic, tourmaline and metal plating. 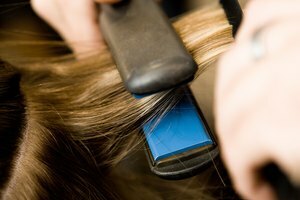 Metal plates are known to damage hair by frying the parts of it that come into contact with their extreme heat, especially for prolonged periods of time. They produce uneven heat as well, which means that you cannot guarantee you'll get an even head of curls every time you use it; also, the more you try to wind up uneven curls, the longer you expose your hair to the extreme heat of the metal plates. Tourmaline curling irons contain a mixture of tourmaline, ceramic, jade and titanium, which also produces negative ions. Tourmaline curling irons are similar to ceramic curling irons, but they often cost more to produce relatively the same results. Though you must use caution when operating any quick-heating, portable device, ceramic curling irons are easier to control than others. They come equipped with many heat settings that prevent you from overheating your hair, and their easy-to-use controls allow you to see when the curling iron is on, when it has reached the requested temperature and when it has cooled down after use. Most also have an automatic shutoff mechanism that turns off the curling iron or allows it to cool down if it's left on for an extended period of time. Curling your hair can be difficult if you don't do it often. It requires patience, flexibility and the ability to hold your hands over your head for minutes at a time--all of which can result in an uneven look. 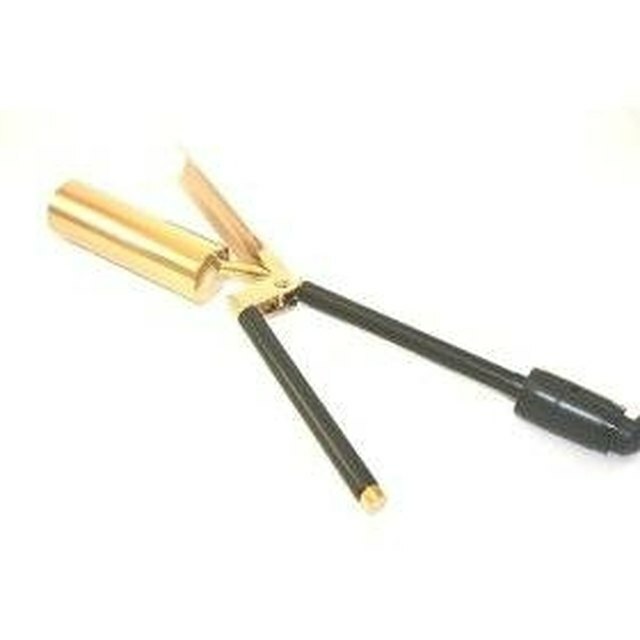 Ceramic curling irons are famous, however, for being easy to use. They work on hair of all structures and lengths, so you should be able to obtain the results you want whether you have short, chemically treated hair or long, unruly hair. The ceramic material is also lightweight, so the iron is not clunky and difficult to hold behind your head. The grip or handle of a ceramic curling iron is always heat-resistant, so there is little worry of burning yourself as long as you use the handle of the iron.